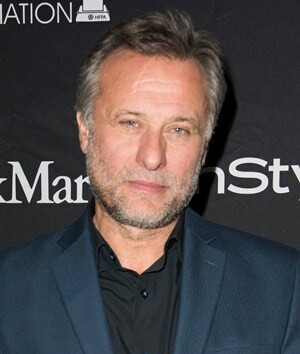 Los Angeles (AP) — Swedish actor Michael Nyqvist, who starred in the original “The Girl With the Dragon Tattoo” films and often played villains in Hollywood movies like “John Wick” died last week after a year-long battle with lung cancer. He was 56. “It is with deep sadness that I can confirm that our beloved Michael, one of Sweden’s most respected and accomplished actors, has passed away quietly surrounded by family,” Tversky said in a statement on behalf of the family. Nyqvist is perhaps best known worldwide for originating the role of Mikael Blomkvist in the Swedish “The Girl With the Dragon Tattoo” series opposite Noomi Rapace. Daniel Craig played the role in the American adaptation. Nyqvist has a number of films on the slate that are yet to come out, including Terrence Malick’s World War II drama “Radegund” and Thomas Vinterberg’s “Kursk,” about the 2000 K-141 Kursk submarine disaster. He is survived by his wife Catharina and their children Ellen and Arthur.